Paying with PayPal is easy, fast and secure. If you don't have a PayPal account, no problem. You can create a new account before you pay or if you don't want to create an account, you can still pay using a credit or debit card. At the checkout page enter your data and at the bottom of the page click the big yellow 'Pay with PayPal' button. 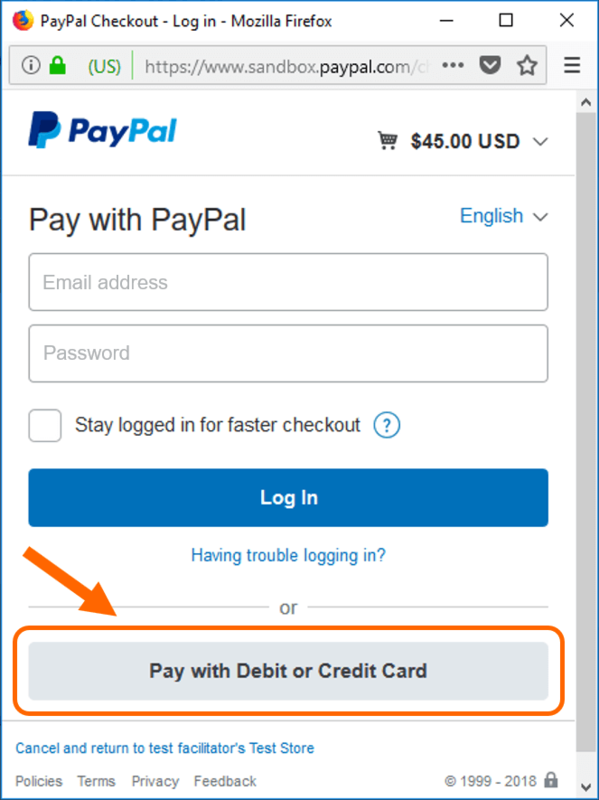 On the PayPal pop-up window choose the 'Pay with Debit or Credit Card' option (and not the 'Log In'). 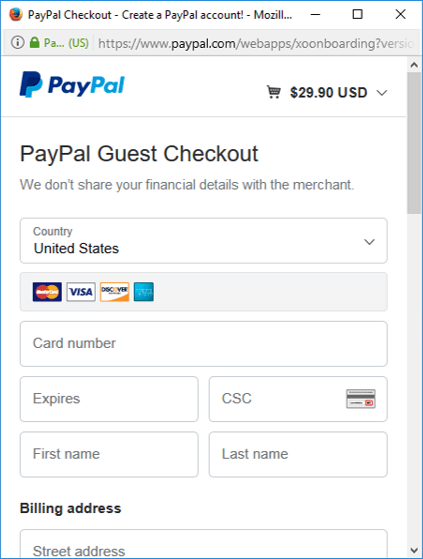 You will be directed to the 'PayPal Guest Checkout' screen. Enter the following data: credit/debit card information, billing address, contact information. Click on the blue 'Pay Now' button to pay and you are done. After reviewing your information (at step 3), you may choose to save your information by creating a PayPal account to make future transactions faster. 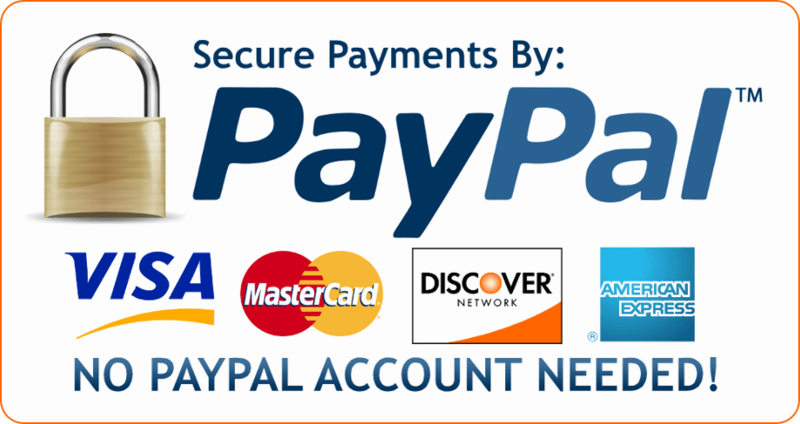 Another fast and easy option with PayPal is paying with your bank account. Many people choose to pay with their bank accounts because it's a convenient way to keep their spending under control. In this case, however, you will need a PayPal account.